The Graduate Certificate in Anti-Racism in Urban Education (ARUE) provides a coherent curriculum addressing race and racism in professional or organizational spaces. The program caters to those interested in an advanced degree that offers an understanding of education in urban environments with a focus on race, racism, and anti-racism. The certificate will demonstrate that students have completed coursework enabling them to become justice-oriented change agents in the organizations where they work. *Three out of four courses are Quality Matters certified, the fourth is currently submitted for QM review now. Learn more about Quality Matters. 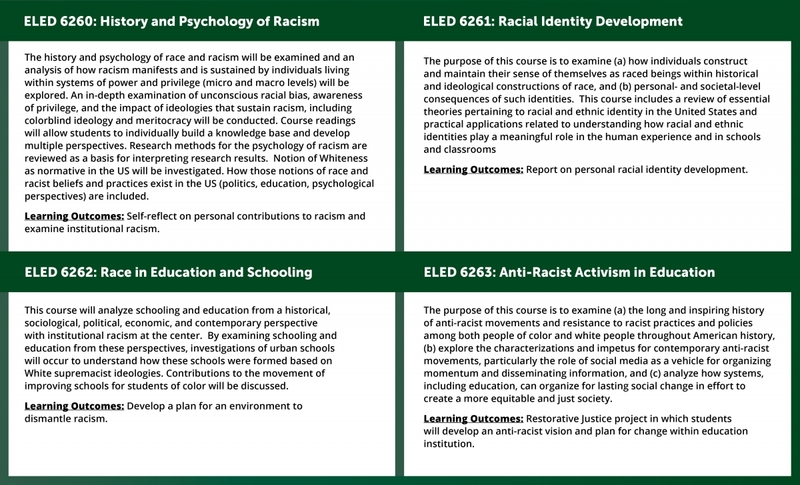 The four courses will address a variety of content, yet all have the aim that students will uncover the underlying social, economic, psychological and political conditions that have disproportionately and inequitably channel advantages and opportunities to particular racialized groups while denying them to others. The certificate is appropriate for educators in public and private settings, administrators in non-profit settings, counselors, religious and spiritual leaders or members, government employees, and others interested in topics of equity. "The content and thinking provoked are completely relevant and truly necessary for all urban educations." Very engaging content, very helpful, interesting course work, always exciting. "Dr. Miller was awesome! She was so approachable and valued the class' opinions of what we would want most to learn. She also was so adaptable, as I was not an education major and she was encouraging and allowed me to adapt any of the assignments to best suit my profession. I also enjoyed applying this class to social work, as we talk a lot about racial differences." "Relevant, insightful, powerful and life changing." "This course has altered the way I view the world and my own thoughts and perceptions. It is powerful! I would recommend it to every student, staff and faculty member. It should be a part of the required curriculum and orientation for employment process. Great job Dr. Glass!" Students will submit the following along with an online application. The certificate requires 12 credit hours of coursework. 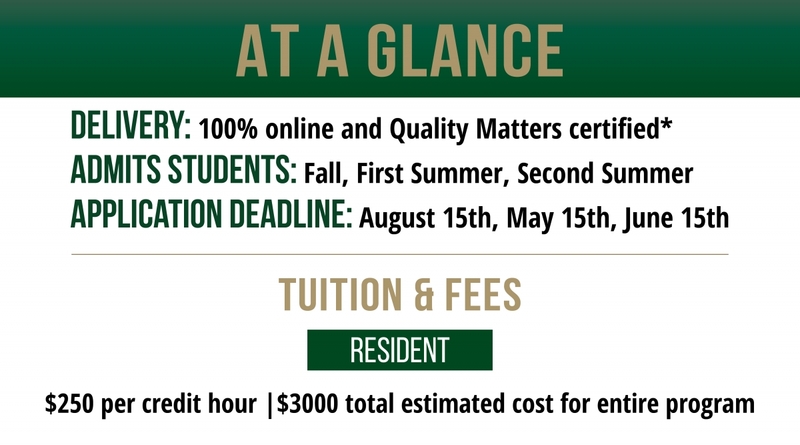 2) Enroll in the fall and spring. Courses are offered concurrently with the M.Ed. in Urban Education and seats may be limited. 3) Combination of the Summer, Fall and Spring. Students may complete the four courses as their schedule allows while keeping in mind that the courses will be delivered according to the schedule above. Remember too that students must take at least one course per year to remain active and that certificates must be completed within four years. Please see the Graduate School website for details on admissions policies.